Marty Stu Bonkvist, a bed-hopping journalist who totally isn't an idealized version of the author, goes to investigate a forty-year old disappearance. Aided by his sociopathic hacker sidekick Elzbeth Salamander, he taps into a vein of sandwiches, Apple computers, and unbelievable plot twists. 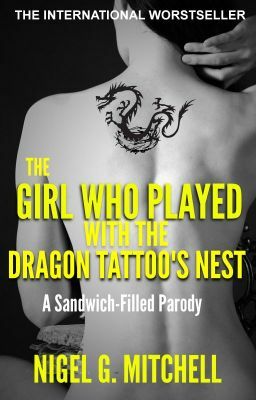 Anyone who loved "The Girl With the Dragon Tattoo" will appreciate this good-natured satire. Anyone who hated the original novel will appreciate this ruthless skewering.